Health threats do not respect political boundaries. To prevent or control the spread, countries need cross-border surveillance and early warning systems to ensure effective management of potentially threatening events. The three-year EpiSouth Plus Project based on a network of 27 EU and non-EU countries of the Mediterranean region with the aim of jointly controlling the spread of communicable diseases. 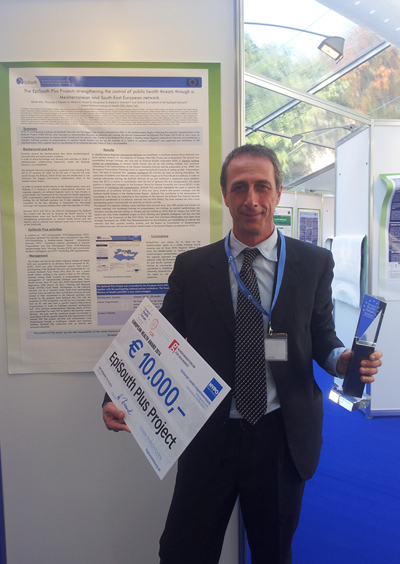 The innovative project is this year's winner of the prestigious European Health Award at the European Health Forum Gastein. This year's European Health Award and therefore the prize money worth 10,000 Euros goes to the EpiSouth Plus Project. The project won against five other cross-border initiatives, which were also nominated for the prestigious award from the European Health Forum Gastein (EHFG). "The risk from global threats in the field of biosafety increases. In order to fulfill their tasks in the field of public health, States must not only continuously monitor the health of their population, but also be able to identify emerging at the international level health risks that could affect their population, "said Dr. Massimo Fabiani from the ISS, who accepted the award on behalf of the EpiSouth Networks. "I want to thank the European Health Forum Gastein for this important award. My thanks also go to the Directorate General SANCO, the Executive Agency consumer, health and nutrition, and the EU DG DEVCO / EuropeAid to support this project, together with the participating national partner institutions and the Italian Ministry of Health. "This allowed the consolidation of EpiSouth Network, founded in 2006 with nine EU countries in Southern Europe and rapidly expanded to 18 non-member states in North Africa, the Middle East and the Balkans. "We are very proud to receive this award, and to share this success with the 80 Country Focal Points and 33 Country Lab Focal Points that was possible only through their dedication and professionalism," said the expert. The ISS offcially announce that the EpiSouth-Plus was selected as the best project by the European Commission, and has been awarded the "European Health Award" 2014 (EHA). EpiSouth-Plus, coordinated by the ISS National Centre for Epidemiology, Surveillance and Health Promotion, was since 2010, a landmark in the field of health security in the Mediterranean and South-East Europe. The EHA was created to promote cross-border cooperation and the development of sustainable, innovative and transferable initiatives which address current challenges such as disparities in health status, access to services and the provision of treatment within Europe. The nomination of the winner took place today October 3rd 2014 in Bad Hofgastein (Austria) within the framework of the "European Health Forum", which annually selects the best projects funded by the European Commission, recognizing the best of them a prize of $ 10,000. EpiSouth was established in 2006 by 9 EU countries. Since then, the network has gradually expanded to include 18 non-EU countries of North Africa, the Middle East and the Balkans. Based on the priorities identified during the first phase of implementation of EpiSouth (2006-2010), the project EpiSouth-Plus started in 2010 with the goal of increasing health security in the Mediterranean and South-East Europe, encouraging and strengthening preparedness to common health threats and biological hazards, both at national and regional levels. 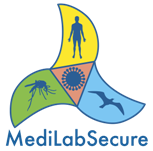 The creation of a regional network of reference laboratories for the Mediterranean to support the activities of surveillance and response. As a result of an investigation to identify the needs of the participating countries, trainings on bio-security have been conducted in the selected laboratories, in relation to specific infectious agents that have involved 37 technicians from laboratories from 22 different countries. The Evaluation of aspects of national and international regulations which may facilitate the implementation of the International Health Regulations (IHR-2005). In this context, a survey was carried out to evaluate the coordination of the monitoring between the national health system and the competent authorities at the points of entry, through on-site visits in 4 countries (Italy, Jordan, Malta and Morocco). The EpiSouth Network has established the largest collaborative effort of this kind between the countries of the Mediterranean region, promoting knowledge, sharing of information and resources, and the development of trusting relationships between European and non-European countries. EpiSouth-Plus was co-funded by the EU DG-SANCO / DG DEVCO CHAFEA and / EuropeAid for a total of 3.9 million Euro, together with the Institutes of Public Health and Health Ministries involved in the initiative. The project has also received financial support from the Italian Ministry of Health and from a technical contribution 'European Center for Diseases Control (ECDC).